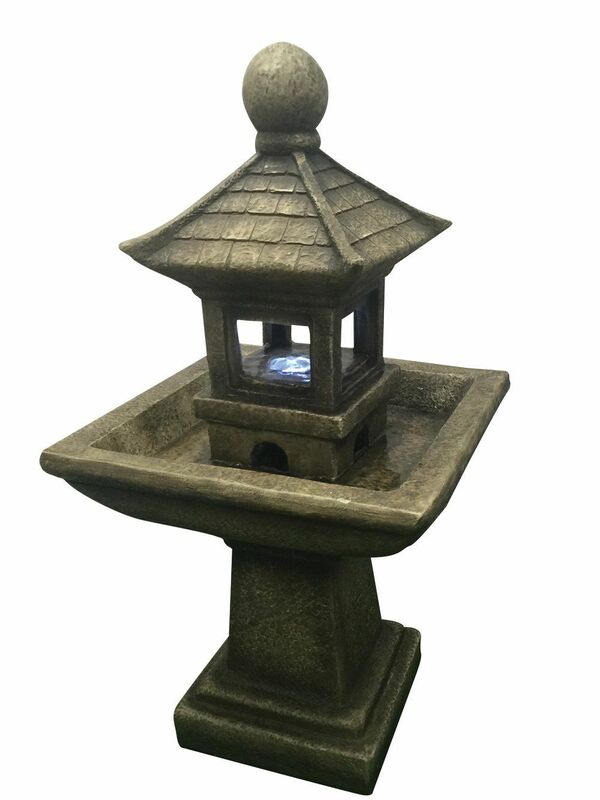 Pagoda on Column by Aqua Creations is a stunning water feature which will enhance any chosen garden or patio area. 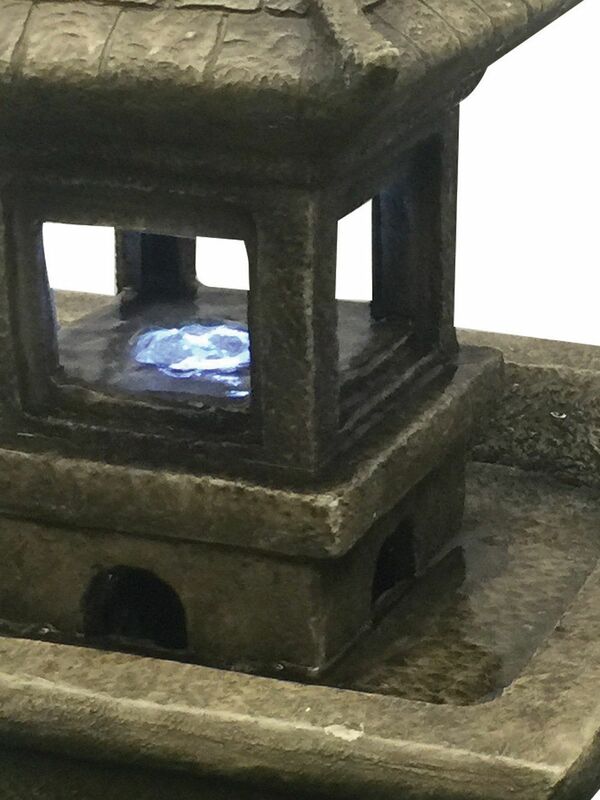 The water bubbles in the middle of the feature and gently cascades to the base which is then enhanced further by the cluster LED light at the centre to give it that extra wow factor. This f ully self contained feature is suitable for indoor and outdoor use.